I started by blending Spring Rain ink onto the edges of a piece of white cardstock. From this I diecut the scalloped frame (PTI). I stamped my sentiment (from PTI's Graceful Greetings) in versafine onyx black. Beautiful! Love the pretty blooms and your great take to the inspiration photo! This is "oh my WOW" gorgeous, Leigh!!!! Perfectly lovely and ever so charming Leigh!! Love how you used that scalloped frame! Such a pretty card Leigh. Love the frame and those full blooms. Great take on the photo. Love how you used the colors! So pretty! 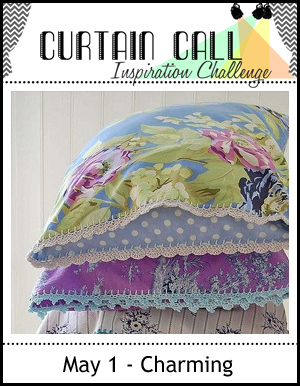 Great design and so pretty, Leigh! Love the flower choices! Beautiful. I love your take on the inspiration Leigh. Gorgeous card Leigh! It's so sweet and pretty.